As parents, teachers, and pastors, we tend to teach kids about the Bible in snippets and stories. We often talk about Moses one week, Jesus the next, and Abraham the following. But here’s the problem this approach… kids have no concept of timeline or placement. We want kids to understand that The Bible is a story that God tells for us. It’s not just random writings from random people! 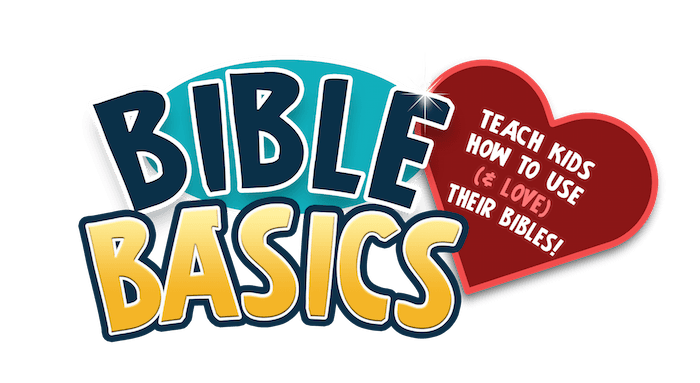 Teaching children Bible Basics is the first step in knowing how to understand the most beautiful and meaningful story ever written. Knowing the Books of the Bible & how they fit together will also give kids a sense of “placement,” which they need to appreciate God’s historic story. Knowing that Moses (and the Exodus) preceded Jesus (and Matthew) by 1,400 years will give them patience for personal stories to unfold in their own lives. Understanding that Abraham wasn’t a disciple and didn’t live in Jesus’ time will help them see how long and hard God has stuck with mankind — and he will stick with them too. Kids have to do a lot of memorizing in school. We certainly don’t want Sunday mornings to turn into assignments of drudgery — especially not when they involve God’s word! We have gone to great lengths to make our assignments fun! Each lesson includes 60 minutes of fun supplementary games, treasure hunts, and adventures to help the kids remember the material. These are memory-charging methods for learning that involve creating a very easy sentence, wherein the first letter of every word coincides with the first letter of something difficult. An example would be, I Just Love Every Day (Isaiah, Jeremiah, Lamentations, Ezekiel, Daniel, the five books of the Major Prophets). Also memory aids, these create silly pictures which relay the information of something difficult. 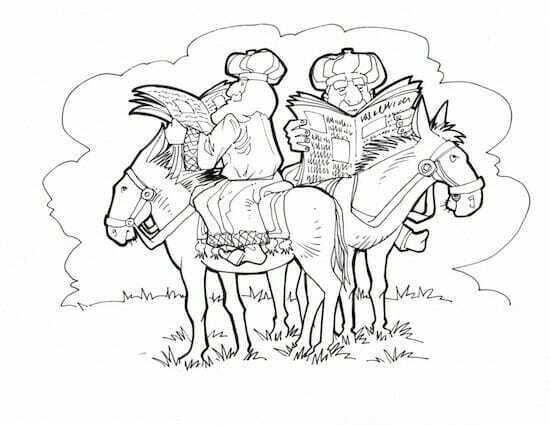 For example, two donkeys named Sam carry two kings, each reading newspapers. Can you picture it? That helps kids remember 1 & 2 Samuel, 1 & 2 Kings and 1 & 2 Chronicles. It sounds relaxing, and it is, but the R’s actually stand for repetition and reinforcement. Our varying fun exercises, games, and races will have kids going through their memorization pieces several more times by the end of class. 2 Bonus Gifts for FREE! 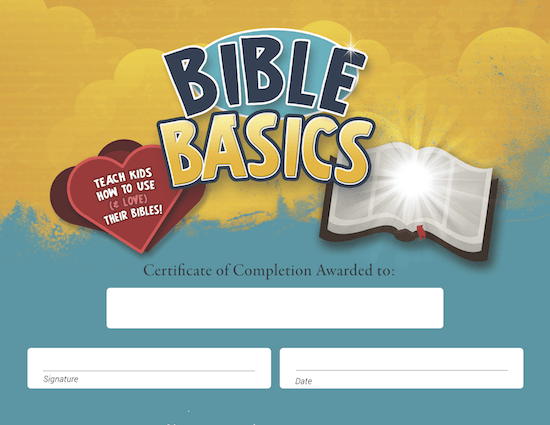 Use our printable 8.5 X 11 certificate to award students upon completion of the Bible Basics Lessons! Print off as many copies as you need year after year! Simply fill in the blanks! Print out our 8-page Bible Timeline and have the kids learn about Genesis through Revelation while they color it in! The timeline is just over six feet long, containing more than 20 beautiful illustrations of landmark Bible events. Over 100 landmark people, places and events are placed. The overall effect is that children will have a great idea of the order of their favorite Bible heroes and Bible stories! Simply tape the 8 pages together to create an amazing wall display at church or home. The perfect complement to the Bible Basics lessons! 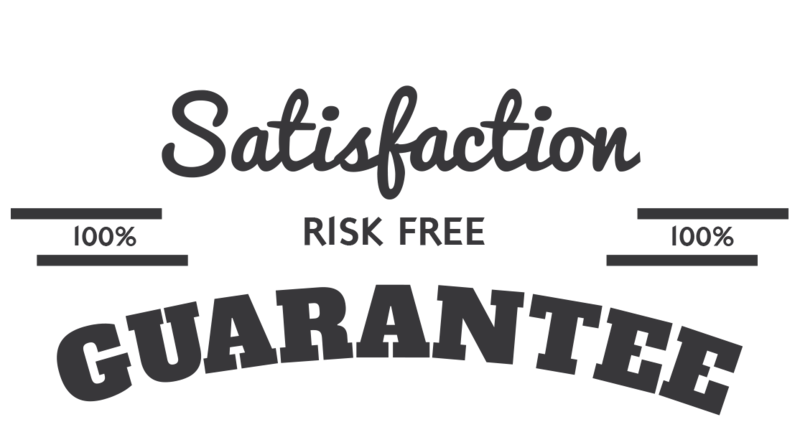 Print Out As Many Certificates & Timelines as You Need! Year-After-Year! We are so sure that you will love the Bible Basics Lesson Pack that we are offering an unconditional 100% money-back guarantee. Knowing “placement & timeline” means understanding how history built upon itself. YES, I want in! 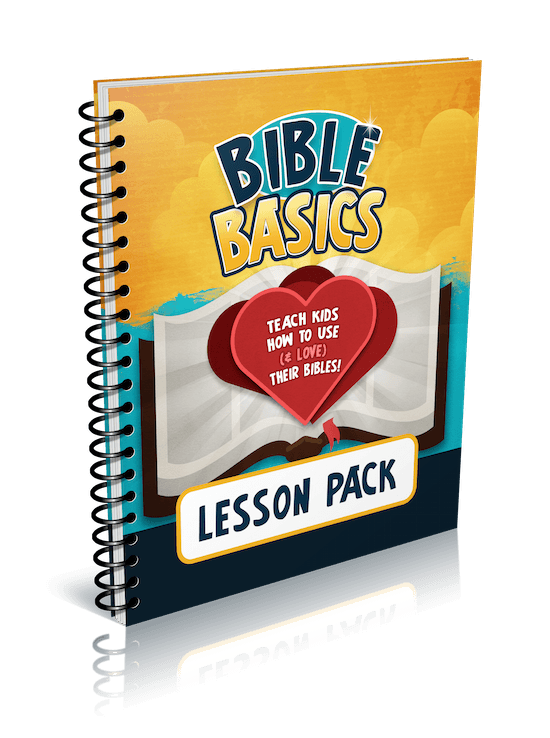 I want access to the "Bible Basics Lesson Pack". Please give me INSTANT access right now! Here's what to do to order… Have your MasterCard, American Express, Visa or PayPal account ready, and click the button below to continue. Our lessons and activities are geared for kids ages 4-12.